How do Google AMP pages show up in my browser and within my website? Google AMP pages appear in a carousel format when viewing search results specifically on mobile browsers. AMP-coded pages will appear at the very top, taking precedent over “non-AMP” pages. AMP pages will appear to have a small thunderbolt icon next to the article within the search results. Keep in mind, it may take some time for Google to index your AMP pages. You will not see them appear in your search results right away. It can take up to two weeks to start seeing your Google AMP pages. Also something to note, the first users to implement Google AMP will probably take precedent over small publishers. Many of the bigger publishers were using AMP in its beta testing days and therefore have a stronger foundation. At the end of the day, this is a race and a competition, just like SEO and SEM. 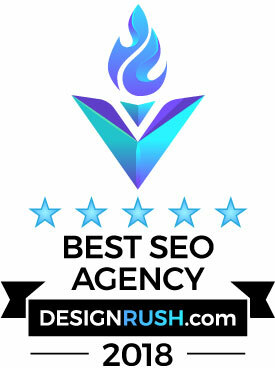 But be patient and continue to optimize and refine your pages for search. Another thing to keep in mind is that much of your visibility depends on the user’s search query and the algorithms of Google – even if you’ve passed all Google AMP validation tests. If you have any questions about the validity of your AMP page, you can run an AMP report which shows a full count of indexed AMP pages on your website and any AMP errors that might have occurred. This is not to be confused with connectivity errors, broken line and other errors of that sort. Those will not be shown in this report. If you do not meet the requirements of Google AMP, your page will not be shown. Can I use a WordPress plugin to implement Google AMP? How can I view Google AMP data in Google Webmaster Tools? How does Google AMP affect my SEO and organic rank? How do I enable Google AMP ads on my AMP pages? How can I see Google AMP traffic in Google Analytics? What are the recommended image sizes for Google AMP content? What are some common complaints about Google AMP? What should I expect for the future of Google AMP? My site was optimized for speed in the past. Do I still need AMP? How is Google AMP similar to Facebook Instant Articles and Apple News?